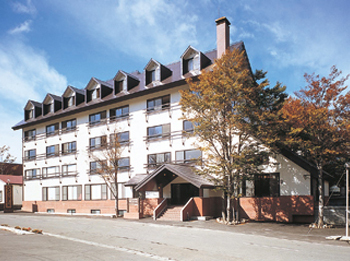 Located in the middle of famous Akita landmarks (Lake Tazawa, Hachimantai, and Mt. Komagatake), the view of Lake Tazawa from the foot of Mt. Komagatake is magnificent. 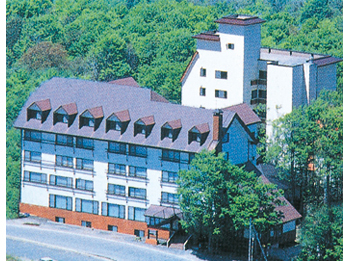 Surrounded by beech trees, Highland Hotel Sansou is a quiet hot spring hotel with a relaxed atmosphere. Guests can partake of a variety of seasonal cuisine made using wild vegetables and freshwater fish. 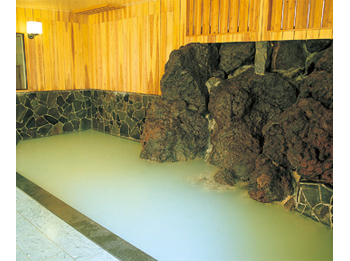 A rock bath created using a natural rock formation is also available. This hotel provides fun activities throughout the year, including rich greenery and wild vegetable gathering in spring, hiking in summer, brilliantly colored foliage in autumn, and skiing in winter. The newly constructed bedrock bath is also popular. 40 minutes on bus from JR Tazawako Station bound for Nyutou Onsen and get off at Sugiyach bus stop. 30 minutes by taxi from JR Tazawako Station.